This was just a waste of my time. 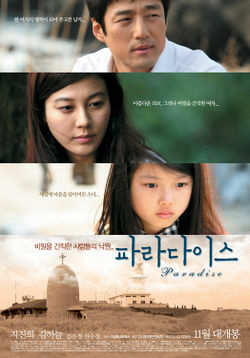 Its not a bad movie its just kim ha neul once again has disappointed me. She tries too hard to look sympathetic even when she laughs or cries doesnt feel realistic. She did that with the drama "a gentleman's dignity" the man on the other hand i liked. I watched this movie coz i watched him in " the man who can't get married" he was hilarious. Anyways in this show hes a bit of a nerd who falls for an ex convict and it takes him like the 1st half hour of the movie before he gets the guts to talk to her. The little girl and the other minions were good. Its just overall boring and a one time thing.